Do you Check the Cars Computer System and Components? All PDS inspections except a finance inspections have Computer Diagnostic Scans conducted to determine if there any problems with the ECU (car computer) ABS (Anti-lock brakes) SRS (Supplement Restraining System for Airbags, seatbelts) BCM (Body Control Module which controls all power options, Air con, immobilizer central locking etc) TCM (Transmission Control Modules for gearboxes) to check for any computer fault codes that can indicate a problem and to also “live” testing of individual systems. Our computer scanner can even tell if a person has recently deleted any current or previous code problems or the last time the codes were cleared to mask or hide problems. Some cars can have more sophisticated and complex computer systems than others so there can be more to check from light bulbs to tyre pressure sensors and even keyless entry modules but not all places may be able to check these without the correct equipment. PDS Vehicle Inspections uses the latest special diagnostic computer scan equipment so all car systems can be checked properly. Some car inspection services use a cheap “scan tool” which only tells you if there are any “fault codes” but this only works when the “check engine light” or “MIL” has been activated. These cheap diagnostic scan tools may not show “all” faults in computer systems, so you could have a result on a scan tool that shows “no faults found” when in fact there are faults it’s just the car computer system hasn’t indicated it is a “major fault”. A full computer scan is included in our PDS Vehicle Inspection without an “extra charge” and we don’t know how other inspection places can conduct a car inspection properly without running a diagnostic computer scan as part of an inspection as it is a mandatory test for us, we certainly wouldn’t want to conduct a vehicle inspection without a computer scan on today’s moderns cars and even cars that go back to the mid 1990’s can still be scanned but only with the correct equipment. To do so would plain ignorance and leave the customer open to potential problems. Why should I have a PDS Pre-Purchase Vehicle Inspection? Buying a second hand or used vehicle can be a large investment for most people but unless you are experienced and have in-depth knowledge about cars you should consider a PDS Pre-Purchase Vehicle Inspection to protect your potential investment to help avoid the pitfalls of buying a vehicle that can turn out to be a “lemon” or a vehicle that could have numerous problems which may require expensive repairs that weren’t part of your budget. Unfortunately, there are those unscrupulous sellers, they could be private sellers, car dealers at car yards or even auction houses who only want your money and if you make the wrong choice of car from the wrong seller it may very well end up being more of an expensive venture than you expected. You should know that once you hand over your money to a seller you don’t generally get a refund for change of mind and no warranty (motor dealers may supply a limited warranty) on private sales so if your car breaks down after you buy it what do you do then? so think about a vehicle inspection before you buy which not only could save you money but also reduce the likely hood of buying a lemon. Will you get car insurance? So what insurance do you have the vehicle you are about to buy is not a lemon or a piece of junk? You could consider a PDS Vehicle Inspection as ‘insurance” to protect your interests! Your decision to buy a vehicle should be only based on the vehicle’s condition. Why should you use PDS Vehicle Inspections? PDS Vehicle Inspections is fully an independent Vehicle Inspection business with no affiliations to car yards, auction houses or private sellers. We do not conduct mechanical repairs on vehicles that we have inspected so there is no conflict of interest. We are not contractors employed by a business to meet certain inspection targets per day. Our PDS Vehicle Inspector is not only a licenced and qualified motor mechanic but has also worked in the smash repair industries, car yards, dealerships and over the years has built up a knowledge base from experience of seeing problems so the qualifications are second to none based on actual hands on experience of what to look for. Most car inspection services use workshop mechanics that have transitioned into a mobile mechanic so may not have the experience or knowledge needed to examine a vehicle for body damage, previous accident repairs or other evidence of what might be a misrepresentation relating to the car because all they know is when a car is brought in for mechanical repairs they look for mechanical problems which are fine but a car inspection may relate to the complete vehicle inspection, not just a mechanical inspection. What do you get in PDS Vehicle Inspection? To summarise our PDS Car Vehicle Inspection Service you can expect an honest and thorough car inspection when purchasing a PDS car inspection. Our Inspector will discuss your needs and any concerns you may have about the vehicle to be inspected, we then confirm a day and time by contacting the seller to make sure the vehicle can be inspected. We will travel to a location specified then inspect the vehicle that you are considering purchasing and inspect that vehicle based on your type of inspection purchased. Once the car inspection is completed we will complete a PDS Vehicle Inspection Report and email the report to you then contact you and discuss the report with you. Our Inspection Report of the type purchased (Premium – End of Warranty – Finance) will cover what is included in the particular inspection which may include the vehicle’s exterior paint condition, previous panel or paint repairs which can be the result of accident damage, storm damage, hail damage, flood damage or cosmetic touch up paint, chassis rust or corrosion if visible, interior condition and operation of accessories which may include air conditioning, heating, venting, gauges, dash, seats, water damage if visible, engine compartment and accessories which include electrical and lighting, fuel and cooling systems, tyres and wheels, diagnostic scanning of all computer systems, body which may include doors, windows, windscreens, sunroofs, convertible roofs, locks, seals, some brake components that are visible which may include brake discs, brake pads, brake lines, (drum brake shoes, wheel cylinders are not usually visible but leaks can be seen if visible), under body condition, exhaust systems and driveline components such as driveshaft’s, tail shafts when visible, gearboxes, 4WD transfer cases, differentials, steering components that are visible, suspension components when visible as well as taking the vehicle on a road test using visual observations, listening for abnormal noises (within the speed limits of testing area) and the way the vehicle feels and handles when driving. Road tests may detect problems that require a further diagnosis to determine the exact problem and can also lead to other problems masked by excessive noise of the vehicle being inspected. Some problems may occur at higher speeds which may not be noticeable during road tests at normal speed limits (higher speed testing may be available if requested but will incur a higher inspection fee for increased time of the inspection), photos only for vehicle validation as per finance inspection or an End of Warranty inspection for warrantable items. Our terms and conditions clarify in more depth what we don’t inspect some of these items may be fuel consumption, wind noise at higher speeds, water leaks, oil consumption of an engine as some examples and other parts which can’t be realistically be inspected without dismantling components or conducting further diagnostics tests like cylinder leakage tests or manual compression tests. Subject to the type of inspection purchased the information in the report is more than enough to determine whether the vehicle you are considering purchasing is actually worth buying. The report will also indicate if the vehicle needs any costly repairs or has too many problems to make it a viable proposition. Of course, the vehicle inspector will discuss all this information with you so you can make a better-informed decision. What Difference is there Between Vehicle Inspection Services? Like any services that may be offered to the consumer or customer, it seems some vehicle inspection services just don’t provide a proper vehicle inspection and this can be easily seen in the “Sample” vehicle inspection reports shown on their websites. Just because they might be a “brand name” vehicle inspection service that doesn’t mean you will get a good service as it always comes down to the individuals doing the vehicle inspections because if they aren’t experienced and knowledgeable this will reflect in the vehicle inspection report and some vehicle inspection reports seem to be written by amateurs or classroom trained mechanics. Items like “wear to a gear knob”, “scratches in a ute tray”, “wear to a radio knob”, “scratches on scuff plates” to name a few. A vehicle inspection should be focusing on areas of a vehicle that can be expensive to repair such as brakes, engine, gearboxes, suspension, computer systems etc or determining if the vehicle has previous accident damage and if the vehicle is actually worth buying. If you can’t find them contact me. If you would prefer a thorough and proper vehicle inspection by someone that actually has experience and focuses on what are the important items then contact me. What types of vehicles do we inspect? Motorbikes and Boats can be validated for Finance Inspections only. Travel time and any toll fees and or PPSR checks are also taken into account. Some vehicles require more time to inspect as there are more parts to inspect or require different inspection techniques such as the use of worm cameras or more involved computer diagnostics which also means a report may take longer to do. From personal inspection experiences, not all cars can be inspected “properly and thoroughly” on-site due to conditions or locations. Restrictions at some auction places can limit what can be inspected. We will only do an inspection if we are able to it properly or we prefer not to do it all. PDS Vehicle Inspections is fully licenced. Licence number MVRL51916 registered with Fair Trading NSW. 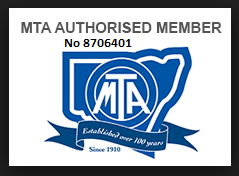 We are also members of the (MTA) Motor Traders Association Member number 8706401. We also hold full mobile Workshop Insurance. GST invoice supplied for those who require one. Internet Bank Transfers are out preferred payment as it is easier to refund should a job not proceed. We accept Visa and Mastercard over the phone. We do not generally accept cash on the day of the Inspection unless at short notice. All Inspections are Pre-Paid prior to the inspection being conducted. Everyone these days have Visa/Mastercard Debit/Credit Cards. You must be the card owner or have the permission of the owner to authorise us PDS to debit the amount of the inspection from that card. It will be taken by us by your purchase that is card is yours or you have permission to make the purchase. For internet transfer please use details below. What Areas do we Travel To? We are based in the western suburbs at Penrith. All Surrounding Sydney Metro areas. We travel to most areas but not generally to the CBD unless of street parking is available. Customers should understand that is not always possible to conduct a “proper and thorough” vehicle inspection in some areas. To conduct a Pre-Purchase Vehicle Inspection properly you need to be able to have access to the vehicle from all sides with some working room for jacking up the car, opening doors and parking near the vehicle for equipment. The CBD area has no parking at the best of times to start with, you also have to contend with narrow streets where jacking up a vehicle can be impossible and at times dangerous trying to contend with busy traffic. You then have to test drive a car which is ridiculous due to traffic congestion where a car cannot be even driven at speed limits so how can you conduct a reasonable test drive and then after you return from a road test your parking space is gone. From first-hand experience, it is not possible to do a “proper and thorough” car inspection in the CBD or some surrounding areas but there have been some exceptions when there is private parking off the street or at business premises but even then you may need to go down multiple levels in car parks and the test drive is still very limited which makes inspections more costly due to extra time required. Ask yourself “how can you test drive a car in bumper to bumper traffic at 10/15 kph? Answer “you can’t” this is why inspections should not really be done if they can not be done properly. This also applies to areas that may have steep hills or busy roads where it may not be safe to do a proper car inspection. Other Car Inspection Places can claim “anywhere-anytime” well there dreaming and if they say they can, go and watch them you just won’t get a proper car inspection and they hope the minimal inspection they do is going to be ok but is that what you are paying for? Sometimes a seller can be organised to meet somewhere more appropriate outside the CBD or at their place if they work in the city. Don’t be caught out by rushing to buy a car and sometimes sellers can make it very difficult as they don’t really want the vehicle inspected so they hope you will buy it as it is. We don’t do all areas as you are paying us for a “proper and thorough” car inspection and if we can’t do that properly then we don’t want to do it as it is not just about the “job” or about the “money” we have ethics about doing a job properly, sure some places offer a “monetary guarantee” but only up to a fixed amount so what if what they miss a major problem on your car inspection it cost you thousands or much more than they offer on their guarantee. Please note this does not include a Finance Inspection as these are photo’s only but it may not be viable for us to drive to the city. How Long do Car Inspections Take? The amount of time spent doing a car inspection can vary as vehicles are all different and some require more inspecting than others which also means the reports take longer to also do but as a guide usually somewhere between 30 minutes (Finance) to 3 hours (Premium Inspection with Extended Drive) in order to do a proper and thorough inspection. Can I attend a Car Inspection? Customers can attend a vehicle inspection if they are thinking about buying the car immediately after the inspection has been completed and the results of the inspection finalised. We do ask that customers don’t distract the inspector during an inspection as it takes longer for the inspection to be completed and the inspection process is disrupted by stopping/starting all the time so it’s best to turn up towards the end of the inspection. Some sellers don’t like their cars to be picked apart during an inspection should the car have numerous problems so through our experience it’s best to wait until the inspection is finished and then we can go through the report. Sometimes sellers like to watch an inspection and may ask to be told if there are some issues or any problems so if the customer wants the inspector to inform the seller let us deal with them and don’t get involved with the inspection process with the seller. Customers should remember there are ways to explain problems with cars to sellers without upsetting them but in saying that some sellers already know the car they are selling is a piece of junk and hope that problems won’t be found. Remember items can be repaired but it just depends on how much you might willing to spend or if the car is actually worth buying. What we guarantee is full and proper inspection after all, isn’t that what you are paying for? We also offer a 30-day money back guarantee of the vehicle inspection cost. Our 30-day guarantee covers undetected failures with an engine, gearbox, differential that are not associated with items listed below from the date of the inspection. Vehicles must be in possession of the buyer on or immediately after the inspection with evidence of an odometer reading of less than 10kms variation to the odometer reading at the time of inspection for any refund claim to be valid and is subject to assessment by PDS Vehicle Inspections. Our disclaimer should be read in conjunction with our terms and condition available on our website. Neglect to act on information provided by a PDS Vehicle Inspection report also voids any 30-day warranty. You must contact PDS Vehicle Inspections on 0430187186 or at pdsvehicleinsepctions@gmail.com at the first instance. PDS Vehicle Inspections must have the opportunity to inspect the vehicle prior (within reason) to any repairs being carried out for any warranty claim to be valid. Conducting any repair or work on a vehicle will void any refund warranty. We always work to the highest standard by conducting a proper and thorough inspection of every car by not using contractors. Should there be an issue or something that may have been overlooked or become apparent after an inspection we are happy to listen to your concerns and to work with you to help resolve your concern but the problem may also come with manufacturer warranty, dealer warranty or be an issue which has occurred after an inspection and may not be relevant to us but you can always feel free to contact us. You can also read our terms and conditions which clarify what we do and don’t check and the limits of our inspections on a car inspection as this is a guide and an issue that was not apparent at the time of an inspection can appear for many reasons after an inspection. It could be an electrical problem, computer issue or maybe an oil leak as some examples not apparent during an inspection. Sometimes sellers may also use scratch removal pens or polish to mask larger scratches which only become visible after a car has been washed, we can only check what we can see at the time of an inspection. Remember you are buying a second hand or used car which comes with “wear and tear” so you should find out before you buy. If you went ahead and bought the car against our opinion, failed to have any repairs or items further investigated and or disregarded the report well that’s just your fault. Do you Charge Cancellation or non Inspection Fees? Please understand our time is worth money to us and there are only limited spaces during any given day for Car Inspections to be conducted therefore should you cancel within 24 hours of a booking the car inspection fee is still payable. Once we confirm a booking with a customer and have also confirmed this with the seller that the vehicle to be inspected is available and a time has been organised we then allocate our time exclusively to you the customer for this car inspection which means other potential customers are turned away. If you cancel the PDS Vehicle Inspection with more than 48 hours’ notice, you will receive a full refund or a credit. If you cancel the PDS Vehicle Inspection with less than 24 hours’ notice, you will receive no refund but you may receive a credit for another inspection depending on the time of the cancellation. On occasion, we may take another booking in the place of your cancelled booking so a refund will be provided as we lose no money. We reserve a time and date for exclusively for your inspection which then prevents us booking someone else if cancelled at short notice by you. We understand that on occasion a seller may sell a car prior to an inspection in which we offer a credit for another vehicle inspection of the same type. Surcharges will apply if location and vehicle type differs from the original price as each vehicle price inspection is different unless it is the same type of vehicle in the immediate area to the original location. You should ensure that the seller is available along with the vehicle to be inspected and you have left a deposit so the vehicle is available for us to inspect on the day and time arranged. If a vehicle is not available at the time of the inspection and we have attended you will still be charged for a complete inspection, it’s not up to us to make sure the vehicle is available, we will contact the seller but if they cancel this is not our problem. It’s up to you as the buyer to ensure the vehicle that you are considering buying is held by the seller and not sold prior to a PDS Pre-Purchase Car Inspection, this could be by way of a holding deposit or agreement with the seller. Be clear with the seller up front that you want a Pre-Purchase Vehicle Inspection as some sellers know that their car has major problems and may not want an inspection conducted. You should also emphasise to the seller that you will be charged an inspection fee if the seller is not home and the inspector turns up. It is also up to the buyer through the seller to make sure the vehicle being inspected is clean and not covered in mud or excessively dirty to prevent us examining the paint condition, potential hail damage or body damaged or detecting any previous repairs that may be masked by dirt and there should be enough fuel in the car for us to test drive. Should the vehicle be excessively dirty then we may not inspect the paint or body condition but a full inspection fee is still payable depending on the inspection purchased. It’s not up to us to wash the car. Ask the seller to make sure it’s clean and the car has enough fuel for a test drive, no fuel = no test drive so check with the seller as sometimes they leave the fuel light which means no test drive. If the seller is giving you a hard time about allowing an inspection maybe you should consider another vehicle, remember don’t trust the seller. We always endeavour to maintain contact with the seller and always confirm the car is still available prior to an inspection. 99% of the time there are no problems. On occasion, we have also had to reorganise an inspection by moving a seller around during that day as may be the first seller in the morning had something urgent come up but then another seller is home all day so we can do their car first and then go back to the first seller later in the day so we will always try to get the inspection done when possible.